Over/Under: Under 145.5 at 1.87 Bet Now! Of the four Playoff games, this is the one that is currently tied at 1-1 going into the third game. 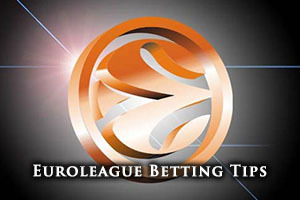 This means that it is the one that the home team this week will think that they have the best chance of progressing to the Final Four, and there will be a great deal of confidence in the Olympiacos Piraeus camp heading into this game. The two games in Barcelona were markedly different, and the turnaround from the first game to the second game will be another factor that will provide the Greek side with a good deal of confidence. In the opening match, Barcelona showed a very strong defensive side, winning 73-53 in a game where Olympiacos delivered their poorest offensive performance in the Playoffs since 2008. This indicated the strength of the Catalan defence in this game but in the second game, there was a complete role reversal. This is down to the fact that Olympiacos triumphed by a score of 63-76 and this was the worst ever Playoff scoring performance from the Catalan side. This means that both sides have shown their defensive strengths across the two games but there needs to be another show of strength in this game for a team to take the upper hand. Vassilis Spanoulis was on fire in the second game and Barcelona know that they will have to perform an awful lot better against him in this game if they are looking to make progress through to the home city of their bitter rivals. One thing that will fall in Barcelona’s favour is the fact that they have triumphed in their last three visits to Pireaus, with the most recent home win coming back in 2005. Brad Oleson is a big doubt after missing out on Game 2 with an ankle injury which means that Alex Abrines and Mario Hezonja are likely to be called upon to deliver a big performance alongside Juan Carlos Navarro. An interesting statistic has been thrown up by the fact that since 2009, there have been 12 Playoff games that reached the third game with a score of 1-1. In 9 of these ties, the winner of the game has advanced to the Final Four. This means that going by past records, the winner of the Tuesday night clash in Greece will have a 75% chance to go through. Even if you just focus on the maths, this makes sense. The team that triumphs on Tuesday only needs one more win, and they have two games to grab it while the losing team on Tuesday has to win their next two games. Winning on Tuesday is no guarantee of progressing to Madrid and the Final Four but you would definitely prefer to win on Tuesday and then see what Game 4 serves up. For the Money Line bet, Bwin have Olympiacos as the favourites at odds of 1.67 but Barcelona are not that far away with odds of 2.15. These odds indicate the tightness of this game and if you are looking for handicap odds, you will find that Barcelona are available at +2.5 and odds of 1.87. With respect to the Over/Under market, look to go UNDER 145.5 at odds of 1.87. 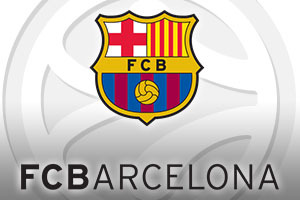 With respect to odds for the winner of the series, Bwin offer odds of 1.75 for Barcelona to emerge victorious and odds of 2.00 for Olympiacos to make it through to the Spanish capital. Bet Now!